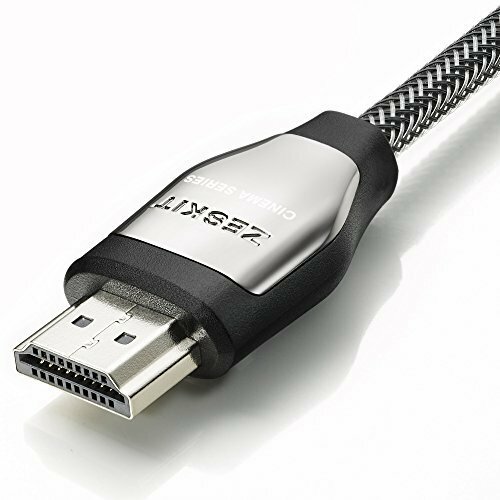 [LATEST STANDARD] supports all HDMI 2.0b features: [email protected], HDR, UHD, 4:4:4 color format ,48 bit/px color depth , Audio Return Channel, HDCP 2.2 and more [UNIVERSAL COMPATIBILITY] tested with popular and latest devices and services including (but not limit to) Xbox, Playstation, PS3, PS4 Pro, Apple TV, Fire TV, Samsung TV, Sony TV, Netflix, Dish Hopper, Roku... [THE NEED FOR SPEED] The faster the better. With high-purity OFC (Oxygen-Free Copper) conductor and Triple EMI shielding, it provides 18Gbps bandwidth, capable of transmitting 100% of the data required for 4K/ UHD. The result is crisper picture, brighter, more realistic color and greater detail than standard HD.